FMS T-28 Trojan V4 Yellow 1400mm – Cursed? I never did hear the whole story but apparently, right out of the box the plane had issues. I heard stories of at least one speed controller swap, retract issues and a bad aileron servo… I don’t know exactly the list or the sequence of events but he quickly ran out of patience to troubleshoot all the issues and offered to sell the bird at a bargain basement price. 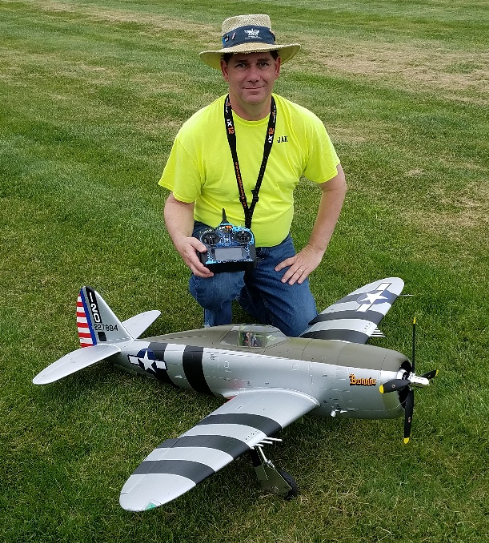 A second club member (let’s call him Gary) picked it up and got a warranty swap on the bad aileron servo which he replaced. He planned to bring the plane to my shop to troubleshoot any other issues he found but as fate would have it, he was in the midst of one of his infamous multi-part swap/purchases and the plane one again changed hands, landing now with Steve. One part of the plan didn’t change and that was to get it to my shop for a thorough once over. Once the plane arrived Steve and I started testing and going over the plane to see what all was or wasn’t working. We did a quick bind and testing of the plane and quickly found one issue… NONE of the three retractable retracts actually did anything! Not a buzz, beep, wiggle or shake to be seen! No amount of coaxing, servo reversing, battery swap, rebinding, driving with a servo tester or anything else would make them budge. Over the course of a few days I traced down all the wiring to each retract and nothing would convince any of them to move! This is not as simple as it sounds as the receiver drives a distribution board in the body of the plane which then is wired via a multi-wire connector (looks like a balance connector on a 5S lipo) to another distribution circuit board/box buried in the wing root where the retracts, flaps, ailerons and lights for each wing are plugged in. This is all starts to quickly look like a spaghetti bowl but eventually I pretty much had it mapped out in my mind. Eventually I plugged in a servo at the wing root connection and proved that signals were getting to that point as the servo moved appropriately. I did this for all three retracts and every one of them tested the same… bad retracts! Now I have no idea how the retracts got to this point. I’m fairly sure they are not shipped in the down position and all were now in that position. They did not stink or have obvious damage so it was not obvious if they were somehow abused but it seems crazy that all 3 would fail in this manner. I guess we will never know. Fast forward a week or so and 2 of the 3 needed retracts have arrived at the shop. Swapping them out is not overly difficult. 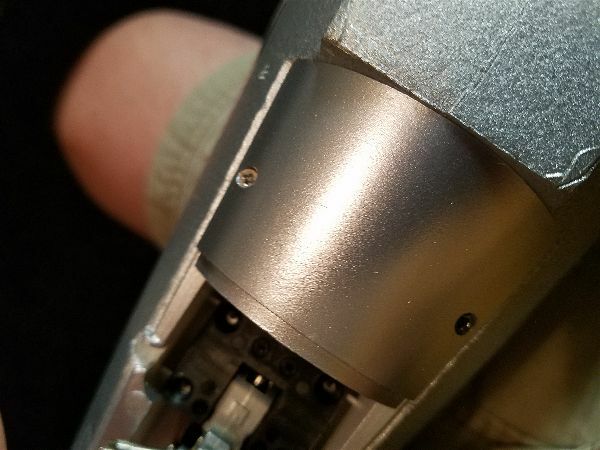 I found the simplest way was actually to completely open up the retract housing (split it after removing the 4 plate screws AND the 6 small diameter screws that hold the two sides together and just replace the whole trunion, strut and wheel assembly. Seemed easier than fiddling with all the set screws etc… especially for the nose gear with its’ C clip. As best I can tell the electrical parts are all the same for nose and mains so I swapped out the Port main and then the nose gear and both worked perfectly after that! So, confirmation that they were indeed bad. Two or three weeks later another couple retracts came in and I once again dug into the T28. Third retract install complete and it is working… Reassemble everything and then suddenly it doesn’t!! Double check all connections and no go… time to take the plane apart again and recheck all those connections. Re-seat all the connections and everything works fine again. OK, so back together and checking everything and what’s this… both Ailerons move in the same direction?? Long story short (this story is long enough) the servo that was supplied as a warranty replacement turns out to be a reversed servo! 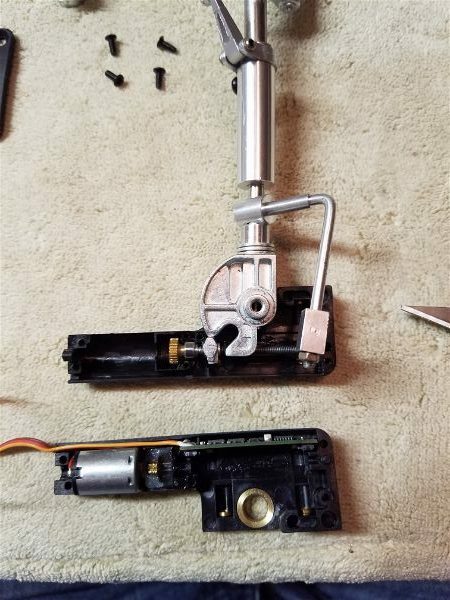 So call the local hobby store and order a replacement (correct) servo… wait and then take it apart again and swap that servo out. Now it should all be good, right? Reassemble, checking at each step, and all looks good with the new servo functioning correctly until after the final wing assembly. 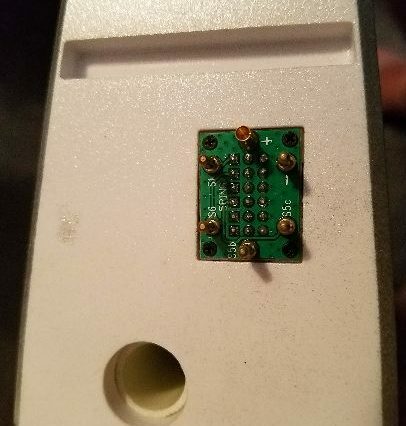 Plug the battery back in to do a final check and what the what?? When the battery is plugged in nothing happens… and I mean nothing! No lights, no beeps, nothing!! Try different batteries… nothing. This is an ARF… when will we get to the ALMOST part of this?? 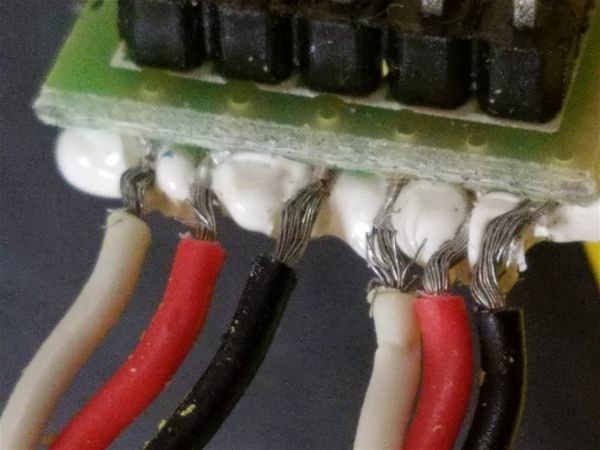 Bare wires seem bad… especially when some of those little hair thin wires look like they might be touching?! 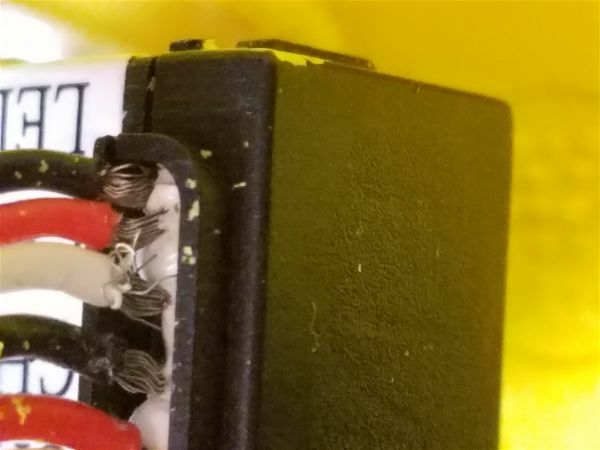 I have no idea but my theory now is this is what started all the issues… It’s possible that these wires were pulled out as repairs were done… by me, perhaps… by the other 2 guys that have had their hands in the plane… maybe. But to my eye the insulation on the wires seem to have none of the white “goo” on them and a couple of the stray wires do. I think this was something the factory missed on. I’ll never be sure. Once reassembled it all looked great. Flaps, ailerons, rudder, throttle… check. Retracts… all three down and locked and back up again… check. This thing might just fly yet! Just as I was doing the happy dance… Hey, why is that landing light not on… At that point I had to make a decision… smash this thing into a hundred pieces and make up a good story for Steve on what unfortunate event had claimed the ill fated T28 or one more time time through the wiring. OK, so this one was simpler. 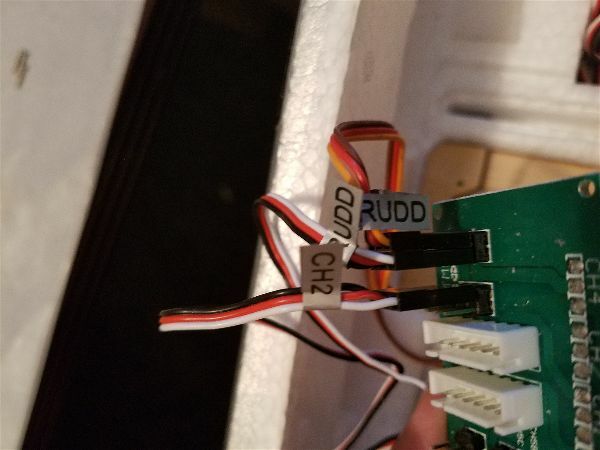 About a 90% chance that the 2 wire, unkeyed connector (OK, its color coded but why not use a standard servo connector so idiots like me have a better chance to get it right?) is plugged in backward. Yep, that did it. After all that, she looks to be ready to fly… finally. After purchasing the plane at less than half of what it originally cost, Steve has spent enough on retracts and a servo that he is pretty much up to having paid full retail and then a bit! If I charged minimum wage, I think he’d have to tell the wife “Sorry honey, no Christmas this year”! Good thing we do this for fun. Hopefully all this will be worth it when this bird take to the air. T28s are typically great flyers so we are looking forward to seeing it in the air. Maybe we should schedule an exorcism instead of a christening! Balsa USA Bristol M-1 Part 2: Straighten up and fly right?? After arranging a battery compartment, getting servos installed, repairing the landing gear mounting holes, radio setup, etc… etc… I took the Bristol out for a couple flights. It was… underwhelming. I have a Great Planes DR1 Tri-Plane so not totally unaccustomed to draggy aircraft that need coordination to turn but for some reason I could not get the Bristol to make a smooth turn no matter what I did, nor even fly straight and level without constant inputs. After 3 or 4 flights I was getting a bit better at herding it around, but if that was as good as it gets… this thing would never find a lasting place in my fleet. I am not accustomed to just giving up on an airplane after a couple flights… especially if I can’t identify why or what exactly isn’t working the way it should so I started checking, rechecking and gathering info about the plane. Certainly there are aircraft that I simply don’t enjoy flying, but that doesn’t mean they aren’t doing what they are designed to do, and doing it well and consistently. I’m fairly sure I started out tail heavy which just amplified all/any other problems. Later flights I shifted the battery forward and things improved but still not stable/reliable the way any simple aircraft like this one should be! Eventually I started going through the way it was built and started looking at things that I would pay attention to if I had built it. Eventually, I found at least one issue that could account for some of the odd flying I experienced. 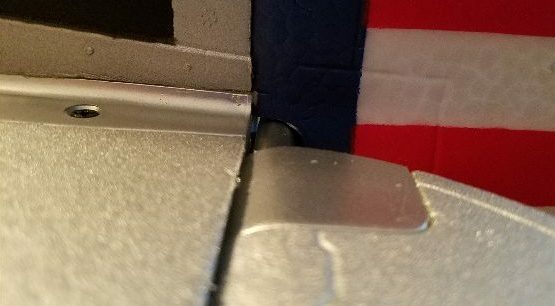 During any build from scratch, kit or even ARF you should always check the Horizontal alignment of the wing to the thrust line of the aircraft as well as the tail to the wing and the alignment of the vertical fin at a true 90 degrees to the horizontal. Since the Bristol looks kind of like a cigar with attached flying surfaces there is no really obvious way to check out the wing alignment to the thrust line but nothing jumps out on that score and frankly, if that’s off a little it probably won’t make nearly as much difference as the tail alignment to the wing. That is where I found an issue. If you sit the plane up on a table top and prop up the tale a bit you can visually line up the horizontal tail surface with bottom edge of the wing. This will show that the two surfaces are at least level with each other. Well, you can if both surfaces are in alignment. The Bristol, not so much. Just to add insult to injury the vertical wasn’t vertical to the wing nor the horizontal stabilizer! A bit more scientific method was in order, so I set the plane up on a stand and (using a piece of aluminum channel across the wing saddle as a flat rigid platform) set a level across the wing saddle. I then adjusted the plane to level. Once the baseline was established, I measured the tail feathers to see how close to level they were. As you can see… not so much. Verical fin… not so vertical. So what to do… If the vertical had been perpendicular to the horizontal and the body structure had been something more traditional… like my Telemaster for instance… then I might have tried to do some twisting and heating to straighten things up. But with this cigar shaped body I couldn’t figure out how to make that work or if it was even possible! So I went with plan B and created some wedges out of small pieces of popsicle stick and did a little cutting, wedging and regluing. Here is how it looks. 3 wedges, literally hammered into place on the starboard side of the vertical fin. Then added a couple more on the top starboard side of the horizontal stab. I also put a couple on the port side bottom of the horizontal stab as well. The result was this. I’m pretty happy with the improvement and I’m debating adding some flying wires to help get the last couple degrees of adjustment I need to get to “perfect”. I think it may be the only way to maintain the proper alignment between the surfaces under flight loads in any case. I’m hoping to get a test flight in again soon and hoping that now that I have the tail all straightened up, the Bristol will start to fly right! Balsa USA 1/4 Scale Cub – Part 5 Finally back on the bench! The cub has been sitting quietly in the corner of my shop for two and a half years now while other projects came and went including dozens of repairs/builds and modifications to my planes as well as many visitors projects. It even survived the move that is nearly 2 years in the past now with no damage… so finally it has found its way back to center stage on my bench. 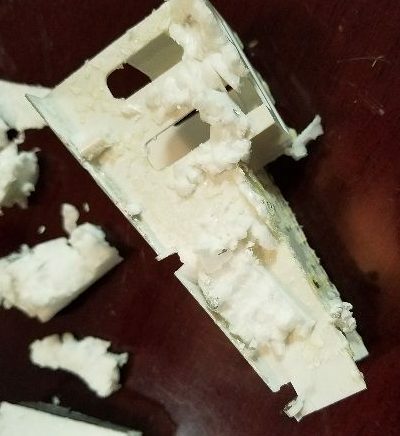 Balsa USA 1/4 Scale Cub – Part 4 More Mods – Rudder Shape. Balsa USA 1/4 Scale Cub – Part 3 More Mods – Flaps!! Mostly getting back to this project came about because my flying buddy, Garry Bow, bought a Dave Partrick 1/4 scale Super Cub at the swap meet in Toledo this last spring and though he sold it before getting it in the air again, we have been talking about it enough that other folks in the club have decided to enter or re-enter the brotherhood of RC cub fliers. 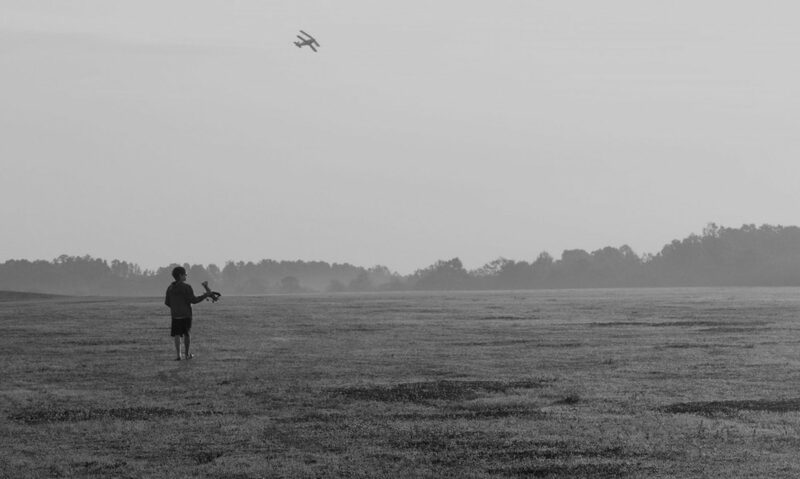 I think almost every RC airplane enthusiast has already, or plans on getting, one variation or the other of the J-3, clipped wing, PA-18 super or maybe even one of the more modern variants like the Carbon Cub. Cubs lend themselves to slow majestic flying and there are many different variations that allow for you to fly a cub that is at least semi-aerobatic, can tow gliders, carry a drop box, sky diver, camera or whatever. Most Cubs are almost instantly recognizable to even those who don’t pay much attention to aircraft or RC and also make great entry points for scale building. Cubs can be very simple 4 (or even 3) channel setups with a high wing and light wing loading. This allows for slow and gentle landings and the typical Cub landing gear configuration can absorb some punishment in case of abrupt landings, especially those outfitted with bush tires and working shock absorbers. So it is time to get back to my latest endeavour into the the world of Cubs. My latest cub started life as a Balsa USA 1/4 scale J-3 Cub kit but I have been working to make it into something closer to a Super Cub. I’ve detailed a lot of my modifications up to this point so I’ll try to just continue where I left off a couple years ago! Looking back I realize that I did make one more significant change that never got posted and that has to do with the wing attachment method. I really disliked the way the wing attached. It seemed like it would take 3 people to get the wings on and off without damage to the airplane with just a location pin and bolts holding on those massive long wings. I didn’t like the thought that damage to the root rib seemed likely if you didn’t get the struts on quickly before a gust of wind or careless bump to the wing caused an issue. This design was made for someone who is much better organized and meticulous than I! So right before I packed it away, I added a small wing tube arrangement to my Cub. At first, I tried to put a straight wing tube and sleeve in place but then realized that a straight tube was not going to work well in a wing with dihedral! So I assembled and shimmed and adjusted until the wings were sitting at the proper angles and then created a wing tube for each side utilizing the servo wire guide holes as a ready-made mounting point for the sleeves. The tube itself is a carbon fiber tube from a friends wrecked airplane and the sleeve is an aluminum tube that the CF rod fits perfectly inside of. I butted the tubes up in the center of the body and created a couple of new rib structures (complete with cutouts to make installing the mounting bolts easier) to hold them in place. Now all I have to do is slide the tube into the wing and slide the whole assembly into the body and the wings have enough support for me to take my time bolting them in and attaching the struts. Time will tell if this system works the way I hope it will. Since I retrieved the Cub from its dark corner, I have started working on a couple of other changes too, including a new tail gear, engine mounting, and a glider tow release. 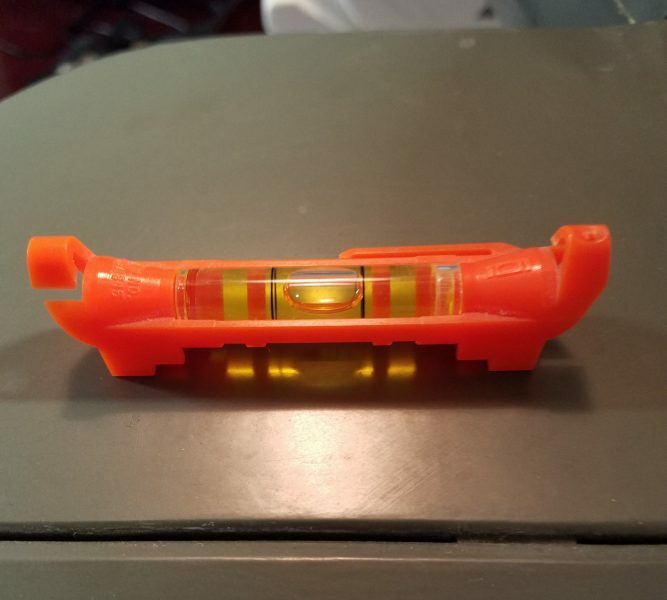 I’m still debating lighting options, float mounting (I have no appropriate floats yet), a possible belly pod (to mimic a baggage pod or fuel pod, both of which are in use on many Super Cubs) for candy drop or whatever, and possibly some hard points to carry a very non-scale sky diver drop mechanism I have. Also, I have started to plod forward with the final steps the previous builder never completed like window installation, wing leading edge shaping, etc… I’ll try to post on some of these activities soon. 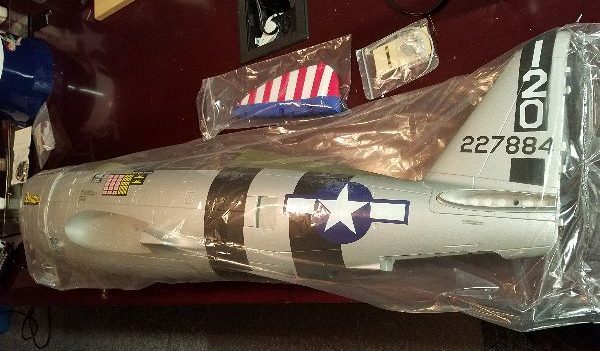 A while back, my flying buddy Gary gave me a Balsa USA M-1 Bristol as a thank you for some work I had done on an airplane of his… or maybe it was a few airplanes… or a bunch! Anyway, we had both seen it at a swap meet and I had admired it but he bought it. I think it may have been traded off and then reacquired at some point before it found its way to me but in any case it has been sitting in a corner of the shop for a while now and I finally picked up what I think will be an appropriate power system for it, the E Flite Power 46 and a Castle Creations Talon 90 Speed Controller. The Talon is a bit of overkill but for some reason seems to always be available at a relatively lower price point in the Castle line (my favorites). It has an outstanding BEC capability and can handle up to 6S and 90A. Castle and E Flite are among my favorite brands. The first task was to build up a good engine mount for an airplane that was kit built to mount a glow engine. 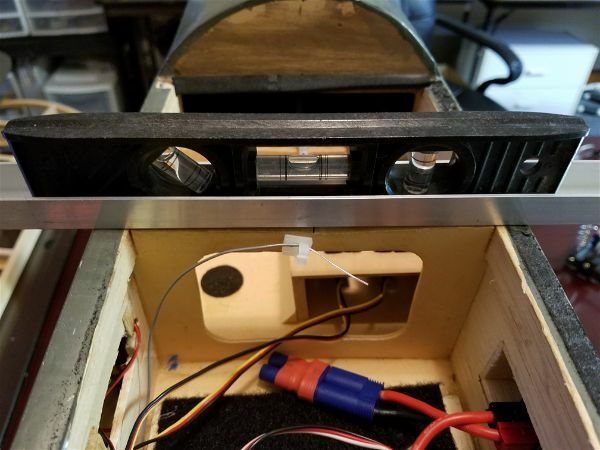 To mount the motor out far enough to get the back plate beyond the cowl face means spacing out somewhere around 3″ to the back of the motor in this case. Nose weight is also not a consideration since the Bristol is so short nosed and more likely would need more weight up front if anything. Finding some 3″ spacers is difficult at best, and I like the idea of something more rigid anyway (long spacers tend to flex or twist a bit under load). 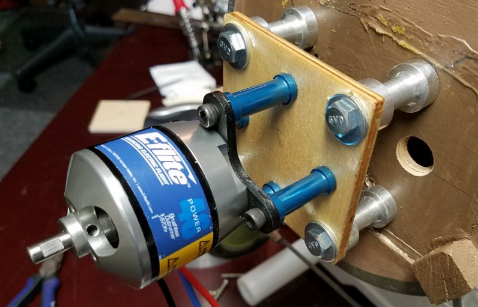 To accomplish this I decided on using some shorter spacers mounting to what I refer to as a sub-firewall and then more short spacers to the X mount on the back of the motor. 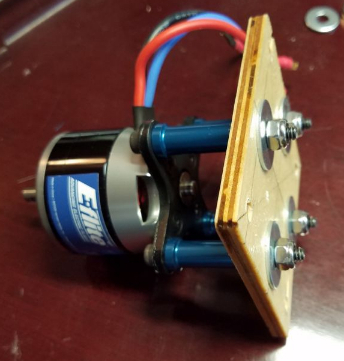 This assembly is very strong and uses a few easier to find smaller spacers and some rigid plywood to put the motor out where it is needed. Here are some pics showing the assembly. Mounting plate tie wrapped to spacers used to mount speed controller. 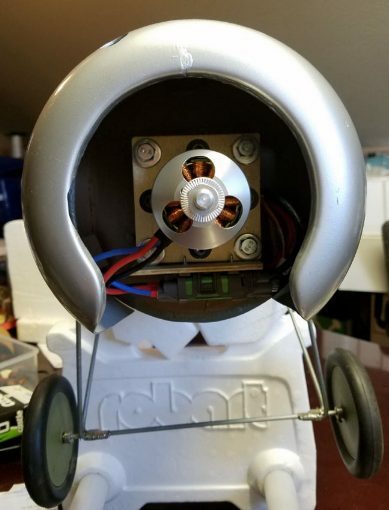 There are a few other necessary installation tasks… servos to be mounted, an arming switch to mount, and making sure the battery can be located in a spot where the plane will balance… but progress is being made. Looking forward to flying. 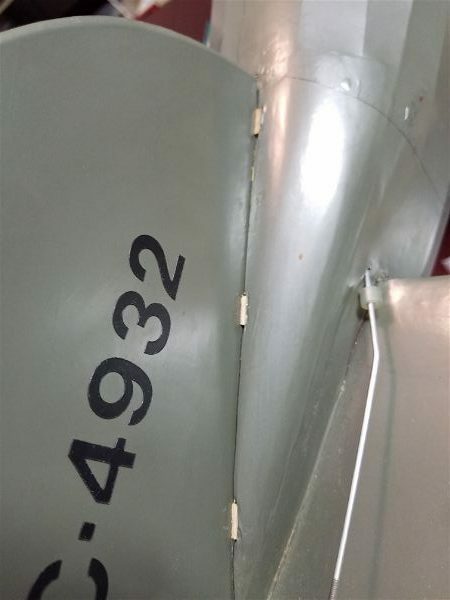 P-47 Bonnie reassembly and lessons learned. 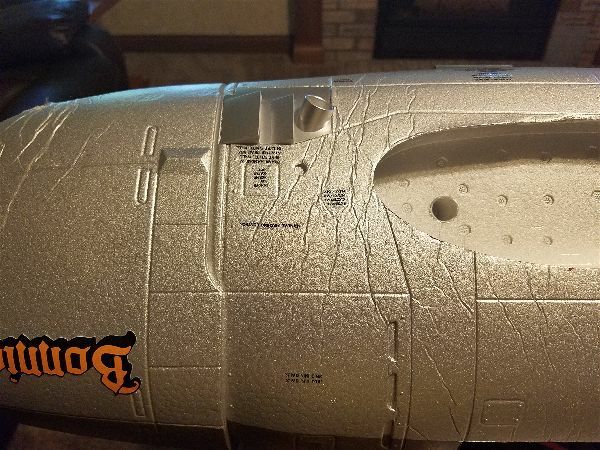 My local hobby shop, Hobby RC, got my replacement body and decal set in quickly and so the process of making this craft flight worthy again could begin! The decal set I ordered would not be necessary. Unfortunately the picture on the web site showed the spare part without the graphics. I’m happy this is the case but could have saved $15 if I’d known. Turns out the rudder just clips onto the body by the use of built in plastic clips and pins built into the two parts. You simply push it on and it pops in place… Couldn’t be much simpler. After screwing on the two halves the elevator with the 4 black screws. Quite a bit of material needs to be removed to get a significant amount of throw AND keep the pressure off the elevator joiner. Here’s the old and new with the modification. And here is what it looks like installed. 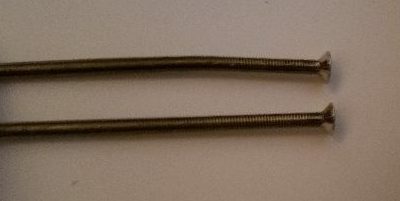 This allows for the maximum throw allowed by the factory servo and linkage setup without binding. Sliding the push rods back in place and installing the servos on the rails was pretty straight forward. 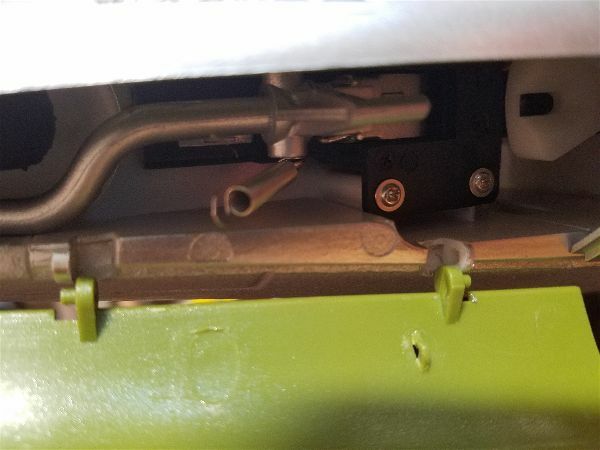 I notice the servos have no rubber grommets on the tabs… though I suppose in a foam body electric, vibration problems are fairly limited so no need. While I was working on the tail, I flipped the plane over and went to work reinstalling the retractable tail gear. Only something was missing! 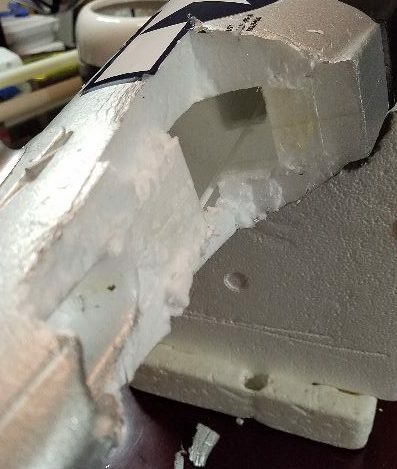 The plastic insert that everything mounts into was not in the new body… time for some surgery on the old body again… You can see here that it takes a lot of carving to get this thing out. And here is the piece that comes out. It takes a little cleanup from here. You need to get all the foam off of it to easily insert it into the new body. 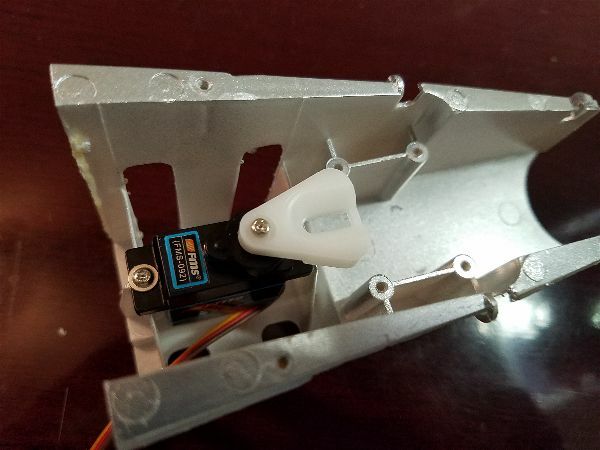 After getting the plastic insert into the new body, mounting the servo followed by the retract itself was pretty straight forward. 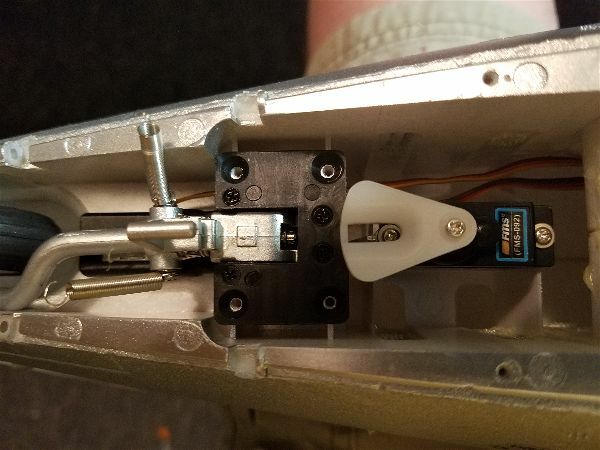 Mounting the servo and retract outside the aircraft is more straight forward than it was taking it out while still inside the tail of the plane. Route the wires (easier if you have “grabber” like the one you see here) and with a little glue on the contact points with the foam just slide the assembly back in place and we are back in business. Reattach the doors and springs (a little bending/adjustment is likely needed) and everything goes back together fairly easily. 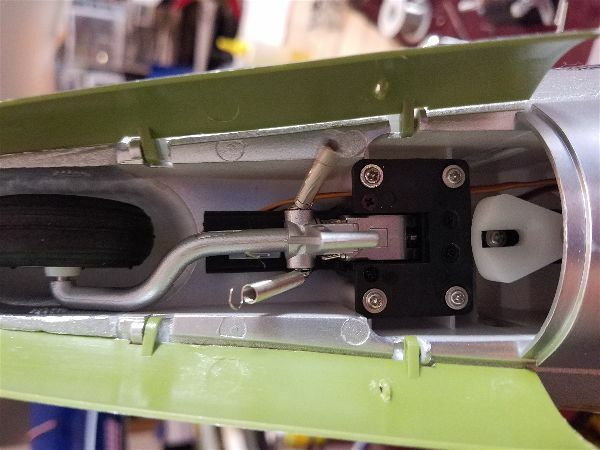 Next I reinstalled servos and the control board with it’s associated plywood tray inside the fuselage as well as the connector boards in the wing root. You’ll want to check your notes or photos on which wires plug into what as the labeling is helpful but not completely obvious. Once again I ran into a small issue where my notes and pictures were insufficient. Note the one socket is closest to the trailing edge of the wing. 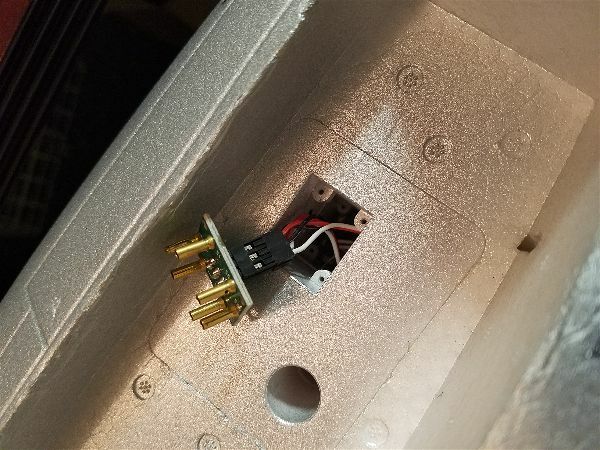 As you reinstall the matching plate in the body, be conscious of this and note that the port side is opposite… I just “assumed” that both would be installed similarly and it turns out not to be so. As you can see there was a bit of force exerted when one of the wing tips found the ground. These bolts are a little bit soft (which worked in my favor in this case!) 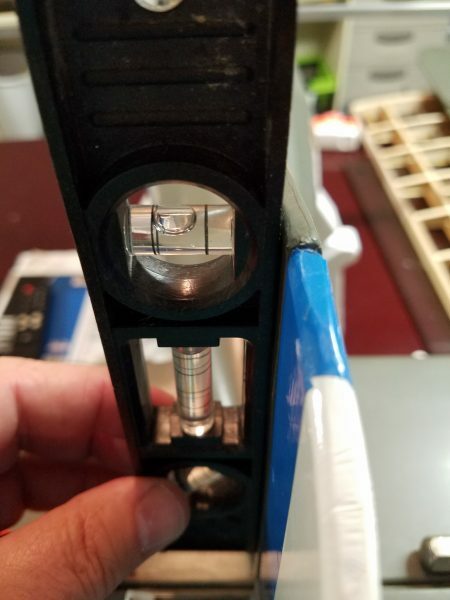 so I was able to simply use some padding around the bolt in order not to mar the threads and bend it back into shape with pliers. 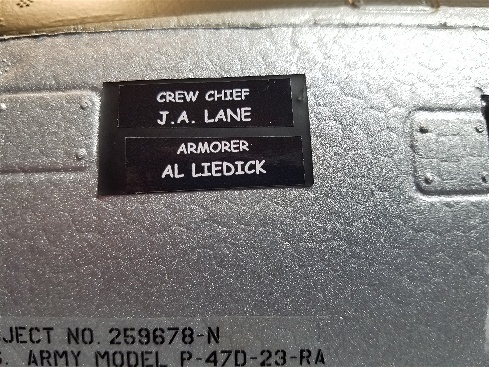 I made a final “rebuild” step by peeling the custom graphic for my crew chief (my Grandfather) and successfully reapplied it to the the new fuselage. Welcome home Grandpa! While the P-47 was in the shop, a few additions were also made. 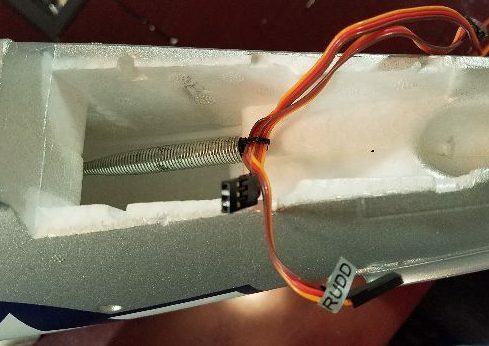 With the addition of a telemetry module and associated sensors (GPS, G Force and Voltage sense wire…) I’ll be able to keep a better eye on my battery pack voltage, ground speed and other interesting tidbits. This last weekend we had a nice event at the club field during which I got in 6 or 7 flights. After a bit of elevator trim during the first flight, the Bonnie proved she was back in peak form. 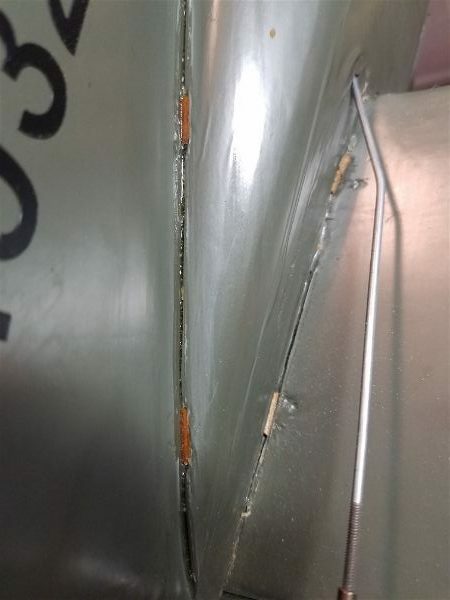 Her pilot took another flight or two to get back in the groove… I did make sure that the battery was securely attached to the battery tray before each flight and I may add additional measures to be sure the whole assemble does not leave the plane prematurely. For now just being sure the straps on the tray also engage the hook and loop material on the battery seems to be working. Last weekend I managed to get out and put some flights on the 1500mm FMS P-47 Bonnie… The short version is “very nice”! Here “we” are after a couple of flights. I’ve always had a soft spot in my heart for the mighty Jug for a couple of reasons. The P-47 is a workman like craft. She’s big and heavy, not the sexiest but she is powerful, deadly and protects her pilot. P-47s were built in two places and one of them was the plant in Evansville, IN where my grandfather (mother’s side of the family) helped to build them! There are family photos from the plant (which later became a Whirlpool plant that created lots of consumer appliances) showing gun testing going on in the middle of the night using tracers! This was a 24×7 operation so darkness could not halt the process. I can’t imagine living nearby and listening to those 8 .50 caliber machine guns going off at 2AM! Just another hardship of war I suppose. Most of those families probably had folks working in the plant and so understood well what was at stake. In honor of grandpa, I added one customer graphic, making him the crew chief on my P-47. His name was Jesse A. Lane. With Grandpa taking care of the mechanicals, I got in a total of 5 flights that day and the plane performed well. She has a wide flight envelope from nice and slow to fairly impressive high speed passes. She kept up with an EDF that happened to be in the air during one of the flights and at the same time slowed down nicely with medium flap settings. Gentle/slow landings combined with the ability to fly the plane fast enough to be convincing (a fighter should not spend a lot of time just floating along should it?). This is a somewhat rare and welcome for a war bird and gives me hope that I will fly this more than “once in a while” as it makes the plane actually enjoyable to fly versus flying like a kite or white knuckle landings being the norm. I still have some tuning to do… need to adjust the elevator to flap mixing and adjust my throws and expo settings to my liking. Also need to double check that motor box “flexibility” that I noted in my first post on this airplane. I may have imagined it, or it may just be a result of the down thrust built into the airplane, but it seemed as if the plane would push downward with application of full throttle. Not a drastic issue and perhaps if I can firm up that motor box this would go away?? We shall see. Overall, I am very happy with the flight characteristics and overall performance of this airplane. It is the first war bird I’ve bought that I am looking forward to flying frequently in the near future. From a non-flying perspective I did my usual cut outs from a styrofoam cooler and created a cradle and I purchased some wing bags to protect the soft foam, guns, etc… That works well as long as you actually tie the cradle down in the trailer! The soft foam continues to be a concern so continued care is necessary but so far I’ve managed to keep bumps and bruises to a minimum. Also, the wing connectors are holding up so far but I only have a dozen connects and disconnects on them so far so will have to watch those as well. It’s also worth mentioning that the retracts have performed flawlessly up to now. I attribute part of that to the fact that she lands pretty easily so they aren’t getting the abuse that a heavier bird would put on them. Overall I am very happy with this aircraft. FMS seems to have done a great job and I recommend you get one for yourself if you are so inclined. After months of serious consideration, comparison and reading hundreds of comparison posts I finally pulled the trigger and picked up the 1500mm P47 from FMS. As usual, my local hobby shop got me a great deal and in a few short days I had a rather large box full of airplane in my shop. The foam is soft… dings and dents are already building up. Some sloppy glue… the wing tip lenses are both a bit “slimed” with glue. Wobbly motor mount. Entire structure appears to be moving in the foam. Build is nearly complete out of the box. Rare for a complex war bird like this. 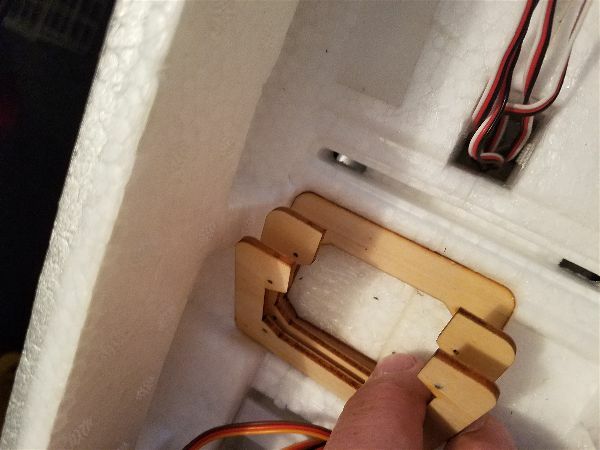 Wing connection plate makes wing assembly simple… no chance of missed connections. 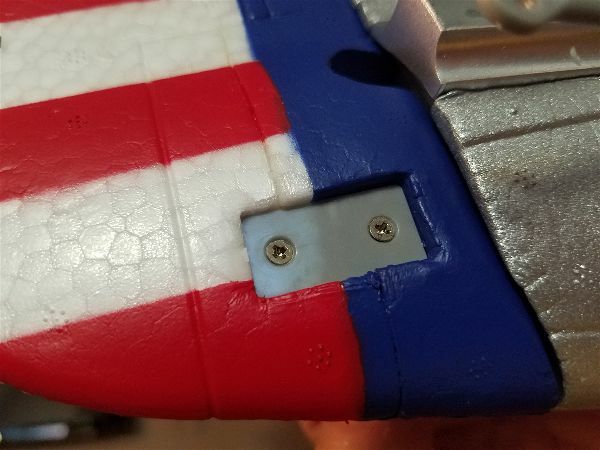 Wing connection plate… to loosen or not?? Carry method… Wheels in the wings so what to do? Let me expand a bit on the above in reverse order… First the questions. 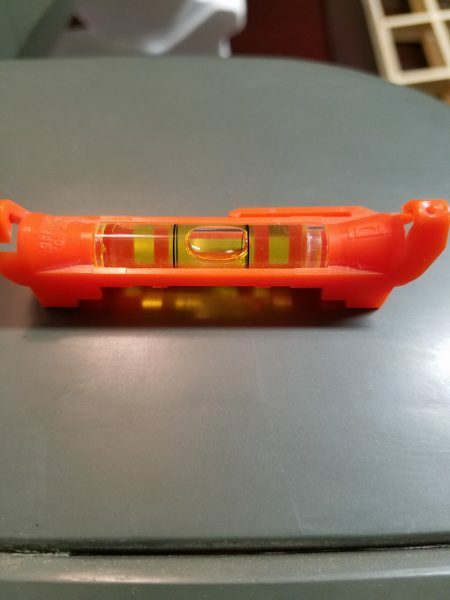 There is a nifty connection plate and mating plug where the wing root meets the body. 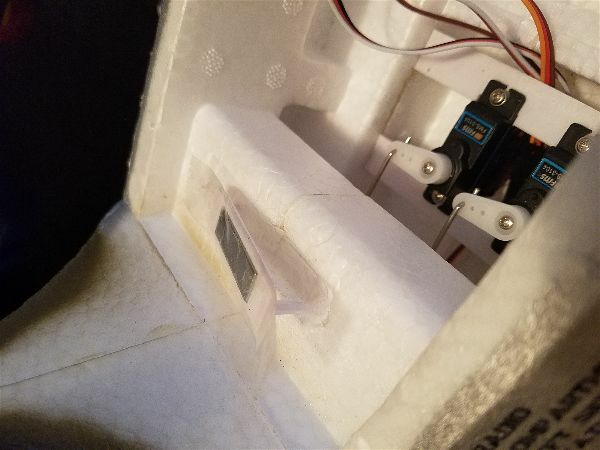 Since the wing inserts into pockets and has two aligning rods, the connectors meet up perfectly and seat together snugly… or at least it appears so and they work nicely right now. There are a few reports of issues with this connection. Folks have had a few intermittent connections and the like. 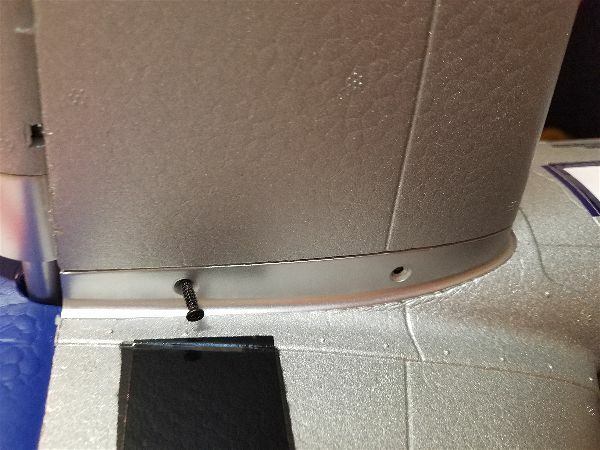 Some people have avoided or resolved this issue by loosening the mounting screws on the plate mounting in the body. 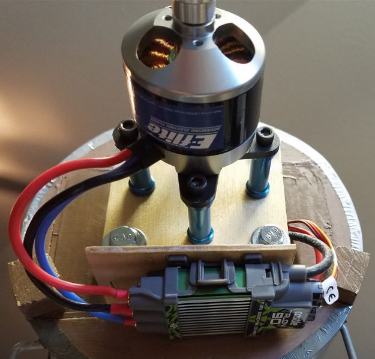 I think the idea is that if the mount is not rigid, vibration and the like won’t cause an issue. Should I pre-loosen these or wait for an issue (and hope I don’t crash when/if it happens)? Carrying this plane is going to require some thought. I can’t leave it assembled… there simply isn’t enough room in the trailer… but like a number of other planes the main gear is in the wings so once you take those off that round body there will have to be some sort of carrier created to keep the plane from becoming a hangar casualty! The color scheme chosen for the bird has enough color and lots of striping so that it should be very visible in the sky and orientation shouldn’t be to hard to track. The cockpit has some nice touches and the wingtip lights are nice and bright. While not every panel line is captured, a vast majority are there and while they may be a bit more pronounced than needed it adds to overall look of the airplane. From a few steps away, the plane shows nicely. The weight of the aircraft is on the lighter end versus what i would expect from a warbird of this size so I’m expecting some good flying and landing characteristics, especially with flaps being available. I doubt she will float, but I don’t expect to have to make super shallow landings at high speed that require huge amounts of runway either. With the flaps deployed I would think a more ordinary approach will be possible, holding just a little extra throttle in to keep the wing flying. The completeness of the build out of the box is impressive. Attach elevator linkages once it is in place and assemble and mount the prop and you are about done! Even the decals are applied in advance. There isn’t much of the “Almost” in the “Almost Ready to Fly” P47! 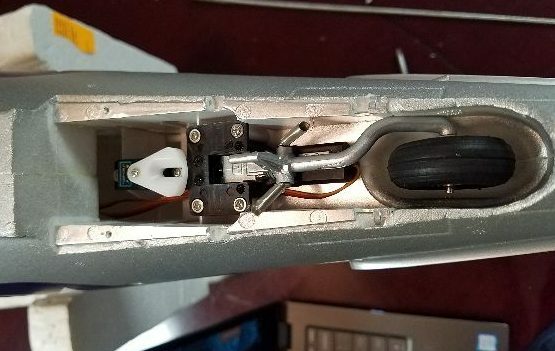 The electronics in the P47 are by necessity a bit complicated but as opposed to other similar aircraft I’ve dealt with, FMS has done a great job of eliminating that issue. 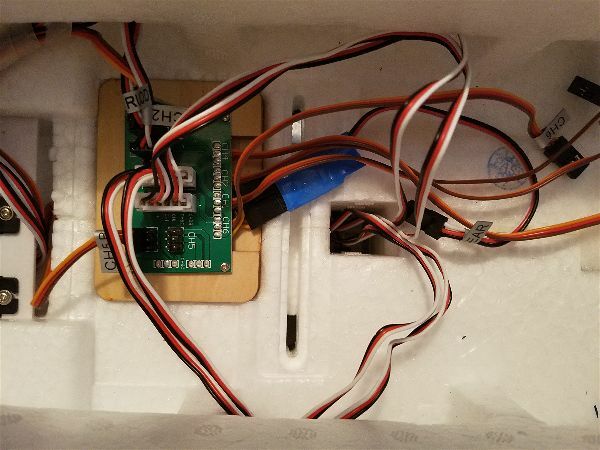 Everything is pre-wired and connected and attaching the wings requires no messing with wires at all as the wings have a built in connector at the wing root that takes care of all that for you. Speaking of the paint, it seems to have the same issue that I have seen on planes like the Carbon Z Cub. It doesn’t take much to peel or flake it off. Also there is some over-spray in some areas that occurred when the paint was applied. I could wish for a bit better application. I have been adding some additional graphics and replacing some of the decals with vinyl and there is simply no way to get them off without peeling the paint underneath. That might be to much to ask but in some spots it amazed me just how easy it came off. 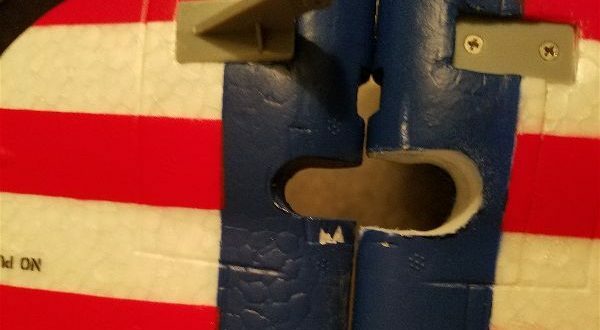 I don’t want to do a full repaint so I’m only applying graphics that are the same or slightly larger than the original and doing everything I can to not lift the paint around any decal I remove… sometimes slicing it with a razor blade at the seams to maintain the surrounding paint. Luckily the vinyl is a bit thicker and covers the patchy mix of paint and bare foam that is left behind. I have found only two areas where the assembly/build of the plane could reasonably have been improved. First is the wingtip light lenses. 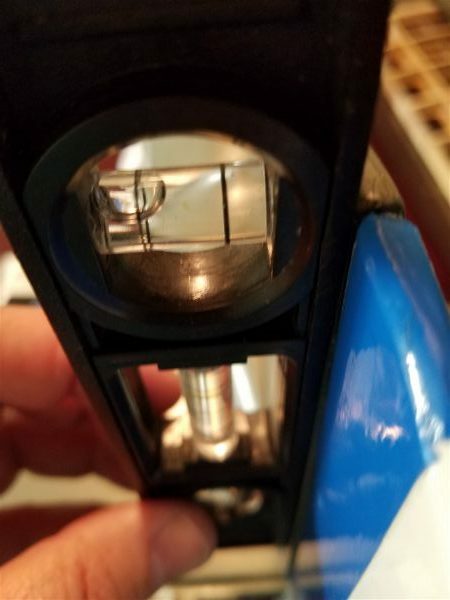 There is a lot of sloppy glue work inside both lenses. Unless I pull them off (which risks damaging the surrounding paint and foam) there isn’t much to do about the strings and globs of glue on the inside of the lenses. Second is the engine mount. It is obvious that the entire engine mount if flexing slightly as the motor runs up. 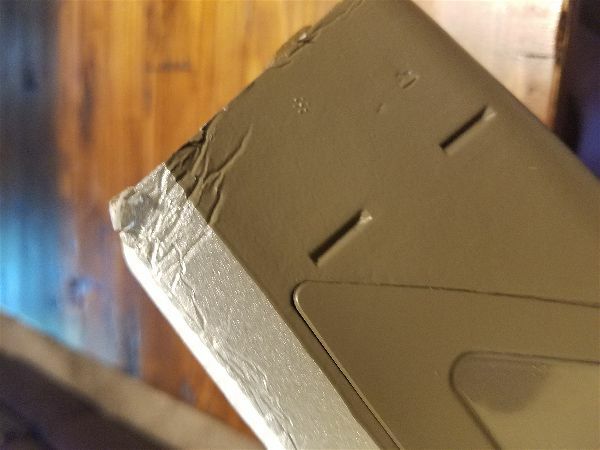 I’m not sure if it’s just a function of the soft foam or if some extra glue would solidify this… I may eventually try injecting a small amount of expanding glue like Gorilla glue in a couple spots around the mount to see if it helps. 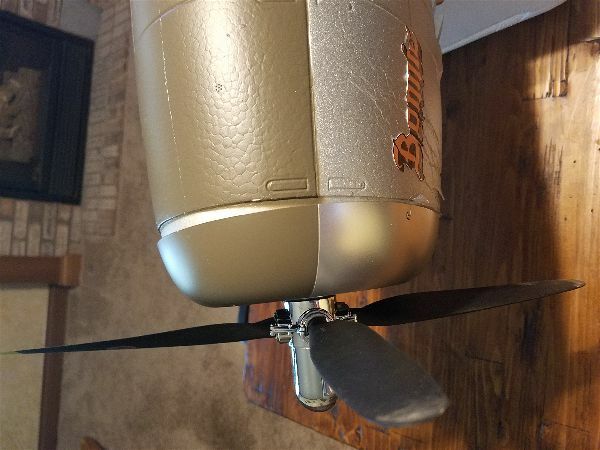 I don’t think the motor is going anywhere and balancing the prop might help minimize this issue as well but it’s something worth looking into. 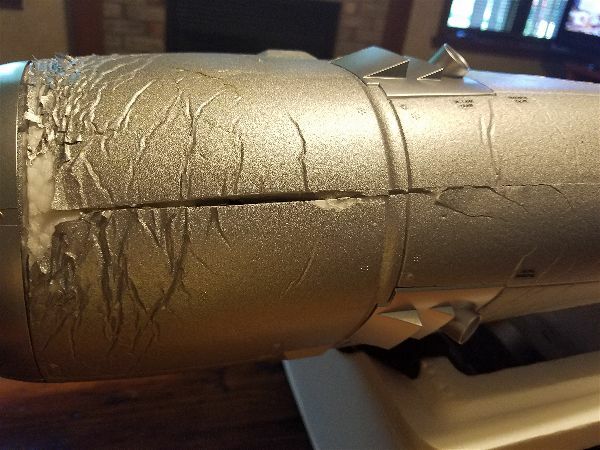 Another minor issue was on the bombs. 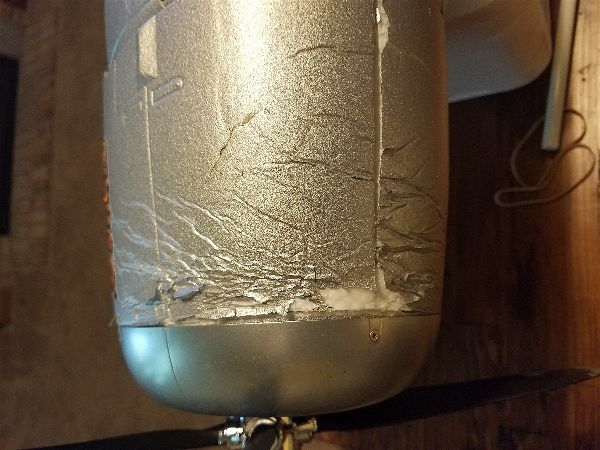 The attachment method of the “brackets” into the top of the bombs was apparently a couple pins and spit (errr… I mean glue of course). The second time I tried to detach them from the pylons on the plane, the bombs parted ways with the brackets. 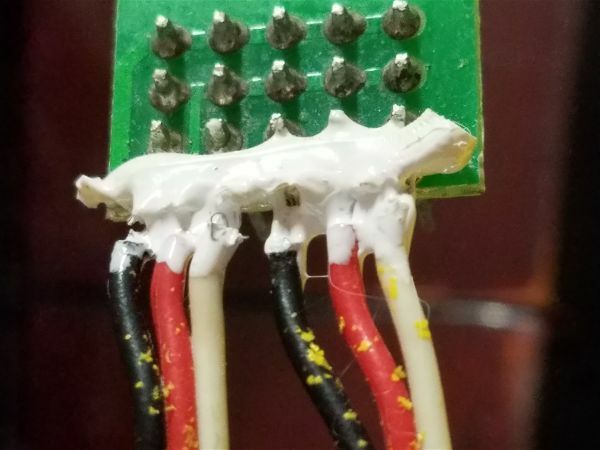 A good application of Foam Tac and this problem seems to be resolved. I also recommend you always attach and detach the bombs by grasping the plastic brackets versus the foam of the bombs themselves. I promise to follow up with some more info after a flight or two. One of my more recent additions to the RC hangar is not a new airplane but instead a new controller. I have been using a DX18 for a few years and have found it to be an excellent radio. I have zero complaints operationally with the 18 but I really like the newer designs that have come out without all the excess “chromed” plastic. What’s the point in putting a coating over plastic that will eventually wrinkle/peal and otherwise just create issues? It looks nice if you like chrome I suppose… never a big draw for me… and sometimes can create glare issues on especially sunny days. Also, while not a big fan, there are times when a voice notification would be welcome. I’ve held off because previously they were rigidly defined. Want the radio to say “charge my battery!”? Sorry, the only message available is “low battery”. Spektrum’s approach of putting an Android tablet functionality “up front” in the iX12 sounded like it would have some nice advantages and I haven’t yet needed channel 13 and up on my DX18… so after a bit of research I took the plunge. Hey, it’s a hobby! If I’m going to get a little closer to the “bleeding” edge of technology in some facet of my life, this is the place to do it. So after some time with the radio here is what I have observed and what I’ve done so far. So far, I have had zero issues… I am somewhat familiar with Android so I think I have avoided some of the odd issues that folks on some of the forums have reported. I moved 16 models over from my DX18 Gen 1 and everything has worked great so far. I’ve flown a couple small quads plus 4 or 5 indoor airplanes and other than messing with the spoken prompts, I haven’t modified my setups at all. Generally, I like the look and feel of the mechanicals of the transmitter. If you’ve ever handled a DX9, you will find much of this radio to be very familiar. Some parts of the box are even better, like the back sliders (which I rarely use) being much smoother. The UI is not yet totally intuitive to me but I’m getting accustomed to it quickly. I am beginning to like the text to speech options though I wish the audio defaulted to all OFF. Will probably build myself a template for future use to accomplish this. The radio is not capable of terribly loud audio levels and some have complained about that. 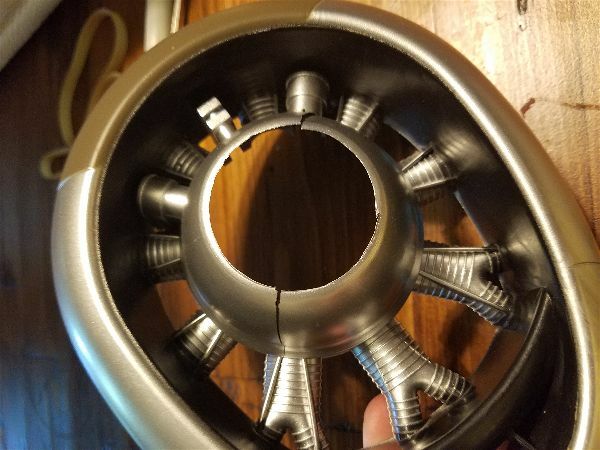 It certainly is not capable of the same volume of the DX9… Of course folks complained about distortion with the DX9 so Spektrum may not have been able to win this one! Volume is not an issue for me as I intended from day one to use a blue tooth headset as I hate hearing the constant chatter of audio from other folks radios while I’m trying to fly. I like to hear my aircraft (and others) and all that chatter is distracting and irritates me after a while. I also think it impedes communication with my fellow pilots as needed for safety so I love the blue tooth headset option afforded by the Android interface. In order to make the audio usable, not annoy my fellow pilots and maintain safety I intend to use a single earpiece. I bought the Sentry BT950 so I can use whichever ear I like… So far I like how it sits on my neck and audio seems plenty loud. I have a couple other Bluetooth sets so I can try some others if need be but this one is a nice cheap option I can afford to leave in my flight case. I also picked up an inexpensive blue tooth keyboard and mouse (Logitech model K380 and model M535, refurbished). Both paired up and worked right off. One oddity that was noted in some of the forums was apparent immediately. When used in conjunction with the iX12, the enter key doesn’t function as you would expect. So far the esc key seems to function in place of the enter key for text entry. I’d bet there is an app that would remap the keys for me but I’m OK with using the esc key for this purpose. The mouse works great and even has a “gesture” button that can be used to do swipes and such so you can pull up the various “side” menus etc… I’ve only used the mouse and keyboard a bit during setup of new aircraft but so far it seems like a great alternative to using the screen based keyboard to create all the text to speech prompts, timer call outs etc… Do I need them to accomplish this? No, but I like to have the option for anything that is going to require much typing. I don’t even like to send long texts on my touch screen Android phone so having a keyboard is a nice option for me. All my blue tooth hardware total cost me $70 and I will use some of it for other things so in my mind they are cheap at the price and nice to have options. I routinely pull pictures directly from the web using the Chrome browser on the radio to use as my icons in the model selection screens and downloading the updates from google play is a nice and familiar way to operate so the ability to connect to a WiFi network directly from the radio is another nice to have option. All in all, I like the radio so far. There have been complaints about some issues (minor for me) like the audio level, slower model selection than other radios (30 seconds to change models versus maybe 5-10 on most radios) and the fact that it takes about 2.5 minutes to go from powered down to fully functional the first time you power up at the field. This last is something you adapt to fairly quickly. Just turn it on when you get to the flying site. By the time you get a plane or two out, all is ready to go. During the day, simply double tap the power button and go into sleep mode after each flight. Coming back to full power up from there is a couple seconds. The battery will last all day using this routine. As I worked with the radio a bit there were a couple of additions I decided were worthwhile. 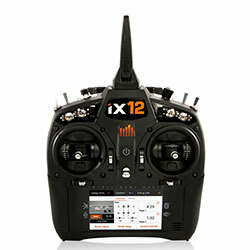 First, there is a company (Powerhobby) who sells vinyl wraps for the face of many transmitters including the iX12. I have occasionally dropped something onto the face of my transmitters in the past and I thought maybe this might give it a bit of extra protection. Also a little individuality never hurts… I already know of one other guy in the club who has an iX12 on order so now there won’t be any mistaking mine for his! Installation of the vinyl was a bit tedious but not terribly so and I think the result is pretty nice. Here is what mine looks like after the application. In addition I quickly noticed that the touch screen was going to often get greasy and spattered, etc… so I decided to take the leap and try to find a good screen protector. I have not had great luck with the cheap plastic sheets you get for cell phones… they either mute the sensitivity of the screen, cause visibility issues, etc… so I looked for a glass cover for this use and actually found one sold through Radiocontronics. It is made of something marketed as “AirGlass” and is apparently from a company called Brotect. 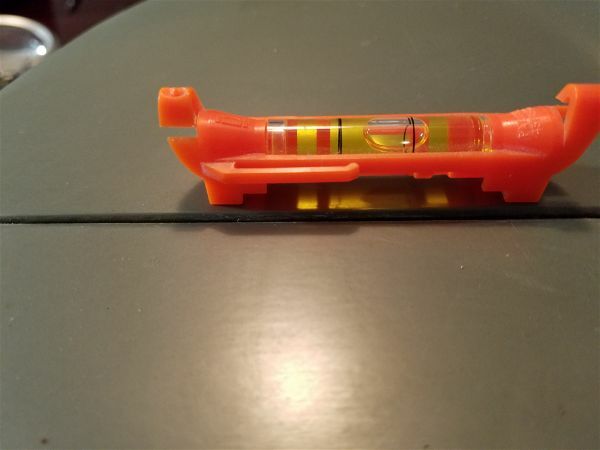 I hesitated to spend ~$24 with shipping for what looks like a highly hyped piece of plastic cut to shape… but I have been pleasantly surprised. Installation was pretty straight forward. Clean with supplied lens cloth and carefully drop into place. Done. So far I have to say the screen is every bit as responsive as ever, there are zero bubbles or imperfections and so far it seems to pick up less dirt and finger “grease” than the screen itself did. I wish it were just a millimeter or so bigger in both dimensions than it is… there is a very fine line around the screen that is visible if you know what to look for but is probably not noticeable to anyone else. That aside though, I have to say it is working as advertised and if it keeps all those microfine scratches off my screen that my DX18 seemed to accumulate regularly (and it wasn’t even touchscreen) than I will be ecstatic. At around the $600 mark, I think there is a lot to like in this radio. And yes, I am a bit of a Spektrum fan for which I make no apologies. I have worked with several other brands like Futaba, Hitec, Airtronics, Multiplex , Graupner and a couple others I can’t even recall. All of them have some interesting features and strengths but it is hard to beat the Spektrum value for the dollar, excellent support and good balance of feature set with ease of programming. 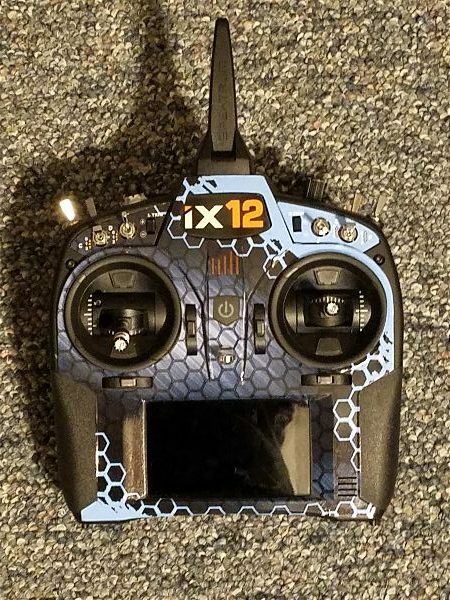 The iX12 leans toward the more complex end of their line of radios so it may not be the ultimate answer for those who are not smartphone savvy or that are just happy with their DX7s or 9 or whatever but I think I’m going to enjoy it for quite some time. At least until the iX12 Gen 2… or iX18 or whatever hits the market next!